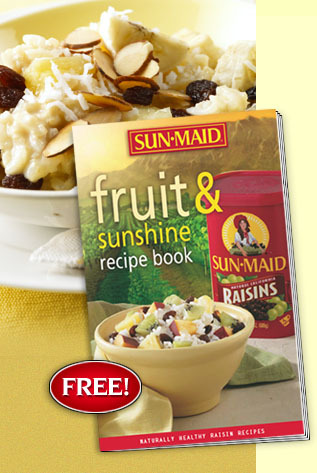 Get a Free Raisin Recipes Sun-Maid Fruit & Sunshine Recipe Book. Sun-Maid is offering free recipe book that contains 17 naturally healthy raisin recipes. It is currently only available by download in a form of a PDF file, but hey you can't beat free, even if you have to read it on your computer right!